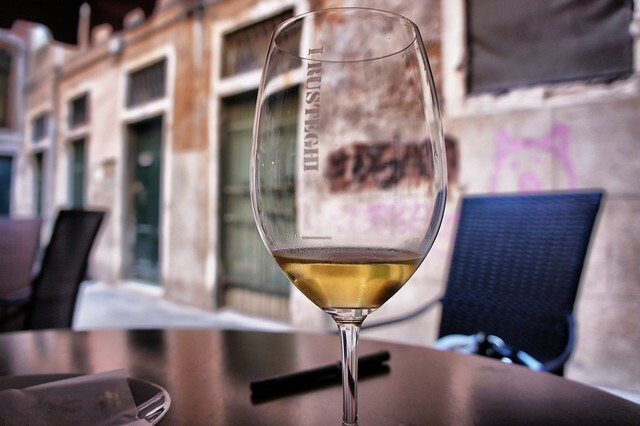 It is often said that Italy has a “food culture” rather than a “drink culture”, which is largely true. Most socialization happens around the table--not over a round of cocktails--and any sort of gathering necessarily includes a generous buffet ranging from delicate finger foods to hefty lasagne, accompanied by nothing more elaborate than water and wine. The trend began in Milan--Italy’s most cosmopolitan city--but over the past decade has slowly spread down the entire length of the country. Today, regardless of whether you find yourself in the center of Turin or a tiny village in Puglia, around 6 p.m. you will start seeing the outdoor café tables filling with groups of people drinking, snacking, chatting, and relaxing until the dinner hour—and beyond. •	You can simply order a drink, which will generally include the cocktail and perhaps a few potato chips or nuts, for which there may or may not be a surcharge. •	If you would like more snacks, request “un aperitivo”, which is understood to include your cocktail accompanied by a number of appetizers. These vary widely, so it’s wise to ask first—you can find anything from olives and marinated vegetables, cheeses, and charcuterie to small pizzette, finger sandwiches, and savory pastries. 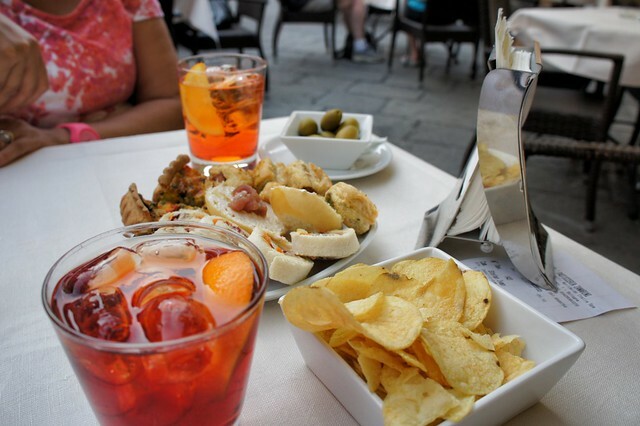 An aperitivo usually hovers around €6 a person, though can be anywhere from €5 to €15, depending upon the city and cafè. •	The newest trend in apertivi is the “apericena”, a hybrid of aperitivo and cena (dinner), including more varied and substantial dishes. Served either directly to your table or buffet-style, the apericena can include pasta and rice, meat, fish and seafood, and a variety of side dishes along with the more standard aperitivo fare. This is an excellent way to enjoy a light tapas-style dinner—especially after a filling lunch—casually and inexpensively. Apericena prices also fluctuate between cities and locales, but expect to pay at least €10 a person. If there is live music or entertainment going on, expect a surcharge (ask first!). You will also be charged for second and third cocktails (don’t confuse l’aperitivo with “happy hour”; the price of drinks served as aperitivi are not discounted, but supplemented to cover the cost of the food). •	Wine. If you don’t like cocktails, don’t despair. 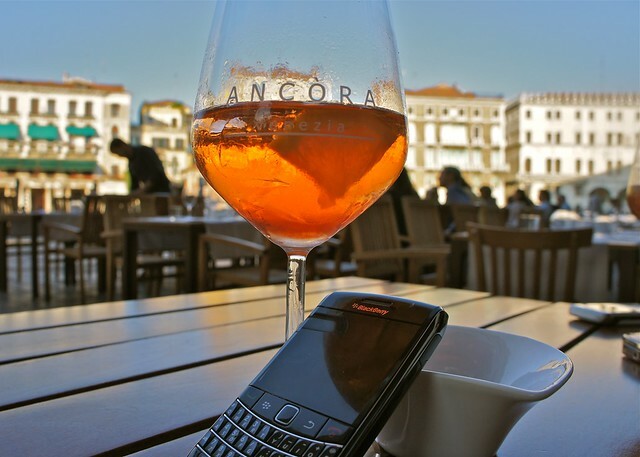 Wine is a perfectly acceptable and common aperitivo, especially sparkling Prosecco, Spumante, or Brachetto. •	Spritz. Perhaps the most common aperitivo cocktail, a light mix of soda, prosecco, Aperol, and a twist of orange. 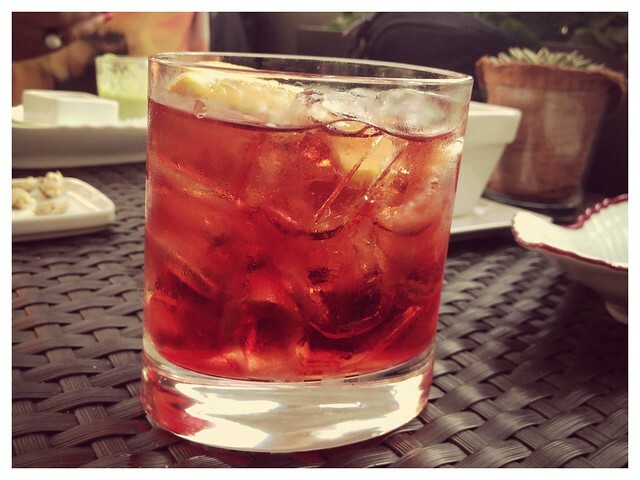 •	Negroni. Gin, vermouth, Campari, and a twist of orange in the traditional version; or with dry spumante substituting the gin in the lighter Negroni Sbagliato. •	Americano. Soda, vermouth, and Campari...with a splash of irony if you are, indeed, americano. •	Cocktails. Most cafès with well-stocked bars offer a cocktail menu, including everything from classic gin and tonics to trendy mojitos. Though more fashionable locales in larger cities can probably serve up a decent cocktail, your mileage may vary in smaller towns where mixing is a relatively new science. The only beverages that are generally not served as an aperitivo are digestivi (after-dinner liqueurs, including grappa, limoncello, nocino, and amari--Ramazzotti, Lucana, Averna, and Fernet-Branca) and, of course, cappuccino.